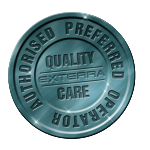 Give us a call NOW on 0406 983 822 or 8753 1802 to book an eco-treatment or quote. You are important to us so please fill this form in and we will contact you within 24 hours. Wouldn’t it be great if someone could get rid of your pests in an effective and convenient manner, at an affordable price and using safe products? Well that is exactly what Easy On Earth Pest Control Sydney does. Safe products and green techniques. We understand how important the health of your family is and how annoying pests can become. Destroying valuable equipment, transmitting diseases, and contaminating your home or business. At Easy on Earth Pest Control Sydney we train our pest control technicians to diagnose based on the biology of the pest and environmental factors around your property. We don’t believe in quick fixes. We go deep in to the nature of the pest control problems and came up with the best non-toxic pest control solutions. There is no need for you to leave your house when the pest control services are being undertaken. All the products that we use have no smells or dangerous vapours. The products that we use won’t cause any irritation to you if you suffer from allergies or asthma. They are designed with respiratory conditions in mind. We will give you a price quote, not an estimate and we will stick to it. We respect you and your time that is why we always show up with in a half an hour window. We spend the necessary time on your property so we can effectively fix your pest control problems. We don’t use generic, cheap, toxic pest control chemicals that will affect the health of your family and environment. We protect positive interactions in your property (insects that help you to keep the eco-balance around your property). NO MESS – We leave your property clean in the same way we found it. We are a Fully Insured Company. We are a family owned business WE ARE NOT A FRANCHISE. The most important thing is that we are effective and guarantee our pest control Sydney services so you can put your attention in what really matters, your family, clients or your business. Termites (white ants), fleas, ants, cockroaches, rats, spiders, flies, bed bugs, silverfish, wasps, bees, moths, bird proofing, termite inspections, pre-purchase termite inspections. Don’t worry! We will solve ALL your pest control problems. Please feel free to call us to book in an Eco Pest Control on 0406 983 822. We will be happy to answer any of your pest control questions. We are a green pest control company, providing a safe, effective and friendly service.